GMPs or Good Manufacturing Practices are a set of administrative regulations put in place to ensure medicinal products, cosmetics, and food items are manufactured in a way that ensures effectiveness along with consumer safety. Quality cannot be ensured by testing the final product or a few batches of products only. It must be incorporated throughout the manufacturing process; from sourcing the raw material and manufacturing a product to its packaging and storage, quality must be integrated at each step. This ensures that the company follows certain rules for the safety and efficacy of the products. The recent surge in the demand for CBD products has encouraged a number of companies to enter the CBD market. 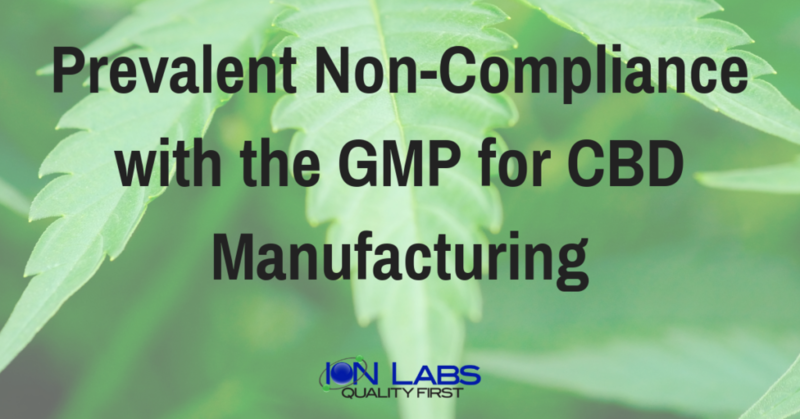 In a sea of CBD manufacturers, choosing a company that follows GMP for CBD manufacturing is imperative for the safety of the consumers. The company should have a Quality Assurance team in place to make sure that all its procedures and policies are in line with the GMP regulations. The manufacturing facility must be designed and constructed based on a proper design. The facility must have proper utilities and equipment required for manufacturing the products. The equipment must undergo regular updates and maintenance. The SOPs must be properly documented and followed. Employees must be certified, qualified and trained adequately to perform their respective duties. The company must ensure the health and hygiene of the employees working in the manufacturing facility. Proper measures should be in place to avoid product contamination. The testing procedure should be foolproof to detect if something becomes contaminated. Quality must be integrated throughout the manufacturing process. Audits and inspections must be carried out at regular intervals to ensure that all procedures are in accordance with the GMP. Following the principles of good hygiene when manufacturing, and storing CBD products. Integrating manufacturing facility with state-of-the-art technologies like environmental controls and video monitoring. Documenting and implementing clearly defined, validated processes to ensure quality, purity, and potency. A clear, unambiguous language used in documenting the SOPs. Identifying an appropriate quality control process, including verification of raw material, in-process checks and finished product and stability testing. Establishing a well-organized supply chain with a system for recalling product batches. Maintaining records of manufactured products and recalled batches along with the manufacturing process and quality control measures taken. Recording and investigating any complaints received. 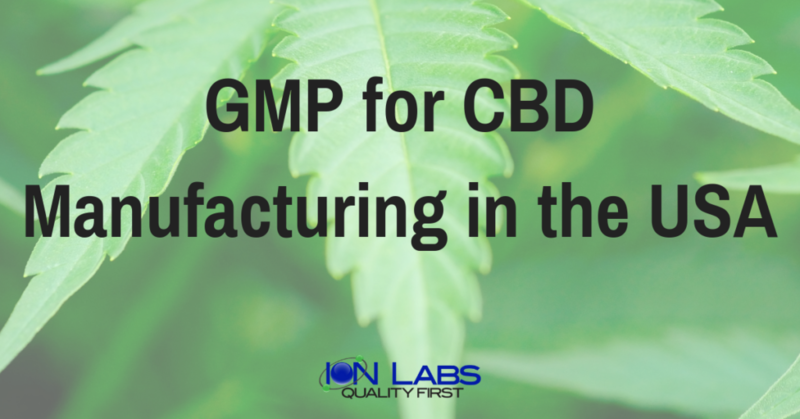 Having all the equipment, technology, staff and process in compliance with the GMP for CBD manufacturing makes Ion Labs an ideal manufacturing facility for CBD products. 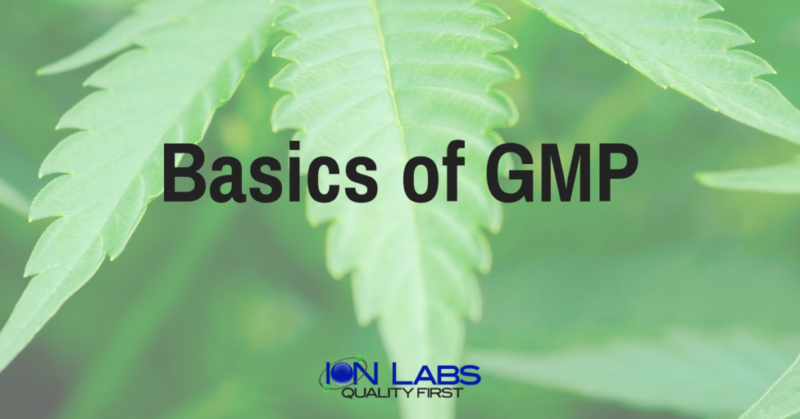 While choosing a Non-GMP compliant manufacturer may not seem like a big deal at first glance, it can have a deteriorating impact on a CBD supplements business. GMP compliance means the CBD products are safe, high-quality and have the right potency for the claims made on the product’s label. This makes your business more reliable and paves the path for gaining consumers’ trust. Non-compliant manufacturers, on the other hand, may not deliver the potency or purity as per the label’s claims. Such facilities may not even have the filtration and distillation equipment to purify CBD from other impurities. Presence of heavy metals and pesticides can make the products harmful, especially for children and the elderly. Any adverse reaction reported to the FDA can result in heavy fines or even a ban on the supplier. Inadequate storage facilities can contaminate the product or reduce its potency and the list goes on. 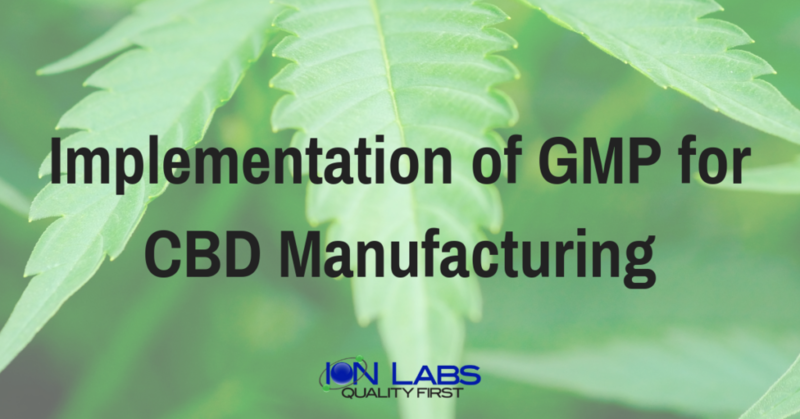 Understanding the CBD manufacturing process is key in choosing a manufacturer. The better option, undeniably, is to put some effort into choosing a manufacturer that is fully in compliance with the GMP for CBD manufacturing.